Air conditioners have quickly become essential appliances for every individual who is willing to maintain a comfortable atmosphere in their house and commercial spaces. There are many aircon brands out there claiming that their models are the best in the market. These machines also require regular maintenance work in order to do their job properly. It is obvious that problems will occur because air conditioners have mechanical parts that may malfunction with time. 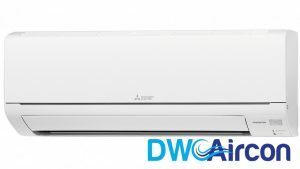 Just like any other buyer, you would also like to choose a brand that provides air conditioners that work efficiently for a long time. Mitsubishi is one of the latest in the competition but it has some surprising advantages. Let’s reveal those advantages to decide whether or not you should buy a Mitsubishi Aircon. Electricity bills get too expensive when an aircon is installed in your premises. It is an important appliance in corporate offices and also in residential properties. Therefore, people want an air conditioning system that consumes less power than normal ACs and still performs great. 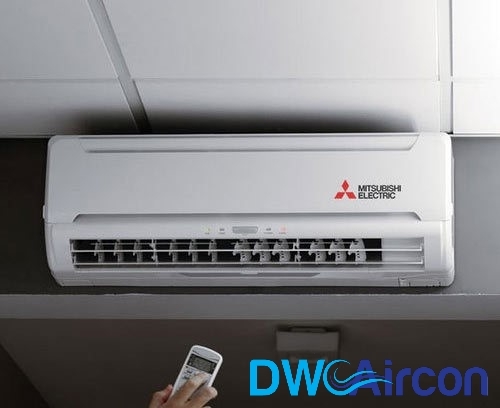 The Mitsubishi Aircon Singapore is designed to consume less power than the best SEER (Seasonal Energy Efficiency Ratio) rated air conditioners. The leading SEER rated air conditioner consumes 40% less power than normal air conditioners but Mitsubishi Electric consumes 60% less power. Therefore, it is a great choice when it comes to cutting the power bill costs. The ACs are required to work more efficiently in countries where climate change pretty quickly. You expect your air conditioner to heat the room when it is too cold outside and maintain comfortable and cold atmosphere during the summer days. Many ACs fail to do this job because they are designed just for cooling. The Mitsubishi air conditioner works to meet all the needs of the user. It can heat all the rooms in your property effectively. It has also got great cooling abilities to comfort you during the summer days. People often search for affordable options in air conditioners when they want to install multiple ACs in a corporate office. In the quest of finding more affordable options, people often invest in cheaper quality models. The costs of breakdown and maintenance arise quickly arise because those ACs are not designed to be durable and effective. The Mitsubishi aircon is not one of those cheap quality air conditioners. It is durable and designed to offer a long-term service without requiring maintenance for a long time. The Mitsubishi Aircon inverter is easy to install and operate. You just need the support of a professional aircon installer in Singapore to equip your home or office with this AC. All the functions are easy to learn and manipulate. Therefore, you will not face any trouble in operating it. 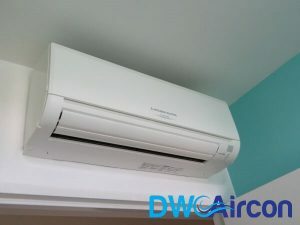 At DW Aircon Servicing Singapore, we offer quality commercial and residential aircon installation, repair, and servicing. We have a dedicated team of technicians who are equipped with the necessary expertise to solve any of your aircon problems. Browse our previous aircon projects and read through our positive reviews. Contact us to speak to our friendly customer service staff. Call us now at +65 6653 2988 or email us at enquiry@dwaircon.com. We operate from Mondays to Sundays (9am – 9pm).